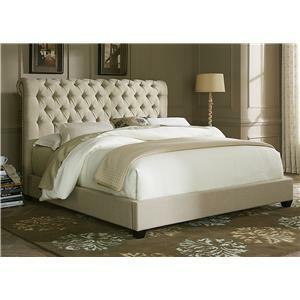 Center your bedroom with sophisticated style by inviting the Jordan fabric-upholstered button-tufted bed into your home. 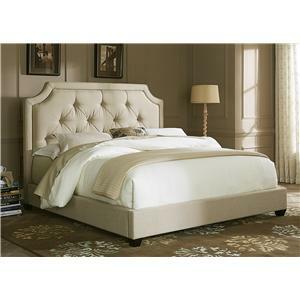 This upholstered bed is a contains a perfect mix of soft lines, clean appeal, and luxurious button tufting details. 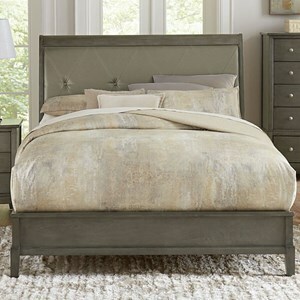 Choose from select fabrics to upholster this piece in to enliven and refresh your existing bedroom décor. The headboard of the bed is beautifully finished with button tufting that adds dynamic appeal to the aura of this piece. The block wood feet of the bed are also finished in a dark Espresso. 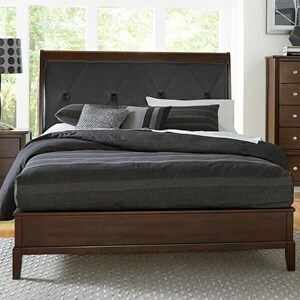 Find relaxation of your own with the Jordan fabric-upholstered button-tufted bed. The Interiors - Beds California King-Sized Button-Tufted Wing Bed by Bernhardt at Darvin Furniture in the Orland Park, Chicago, IL area. Product availability may vary. Contact us for the most current availability on this product. 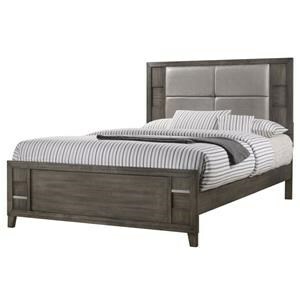 758-FR75 Footboard / Side Rails 1 0" 0" 0"
758-H75 Button-Tufted Wing Bed Headboard 1 0" 0" 0"